The 996 did not mark the beginning of a new Porsche chapter, it marked the beginning of a new Porsche book. The prolific 911 was baptized and emerged water cooled, leaving the legendary air cooled engine to live in Porsche history. The total and complete redesign of the 911 engine was fitted with the vintage plastic "T" style air distributor that Porsche has used since the early 911 days. This intake system was found on virtually all 911 Carrera's until the arrival of the DFI cars in 2009. 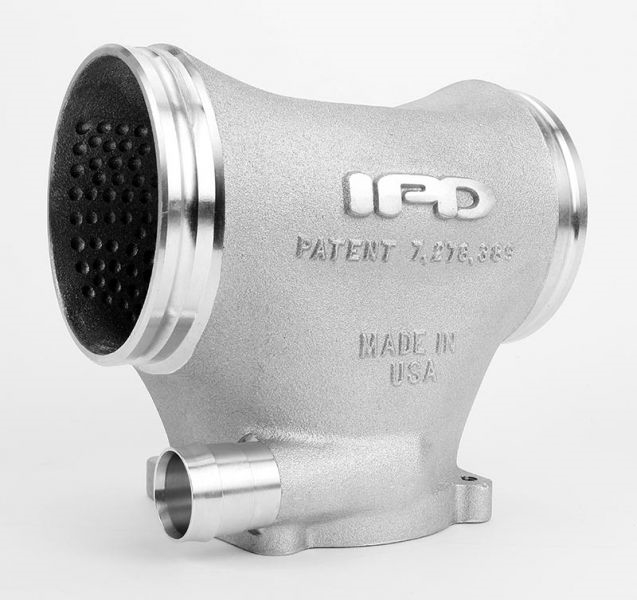 The unique, innovative and patented design of the IPD Plenum employs a "Y" design that improves performance by channeling air left and right to the cylinder banks more efficiently. This design reduces air flow turbulence and increases air flow velocity resulting in substantial power gains throughout the entire rpm band.